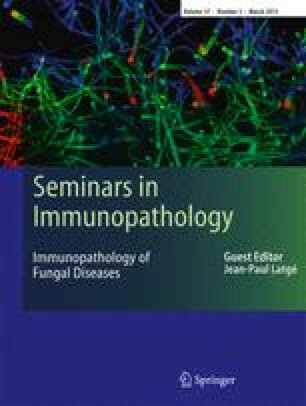 Fungal cell walls contain several types of glycans, which play important roles in the pathogenesis of fungal infection and host immune response. Among them, glycosphingolipids have attracted much attention lately since they contribute actively to the fungi development and fungal-induced pathogenesis. Although glycosphingolipids are present in pathogenic and non-pathogenic fungi, pathogenic strains exhibit distinct glycan structures on their sphingolipids, which contribute to the regulatory processes engaged in inflammatory response. In Candida albicans, phospholipomannan (PLM) represents a prototype of these sphingolipids. Through its glycan and lipid moieties, PLM induces activation of host signaling pathways involved in the initial recognition of fungi, causing immune system disorder and persistent fungal disease. In this review, first we describe the general aspects of C. albicans sphingolipids synthesis with a special emphasize on PLM synthesis and its insertion into the cell wall. Then, we discuss the role of PLM glycosylation in regulating immune system activation and its contribution to the chronic persistent inflammation found in Candida infections and chronic inflammatory diseases. This work was supported by Inserm and by the European community’s Seventh Framework Program (FP7–2007–2013) under grant agreement no. HEALTH-F2–2010–260338 ‘ALLFUN’. We would like to thank Sofia Nascimento dos Santos for her assistance on the preparation of the illustrations. All the experiments described in the paper comply with the current laws of the country in which they were performed.